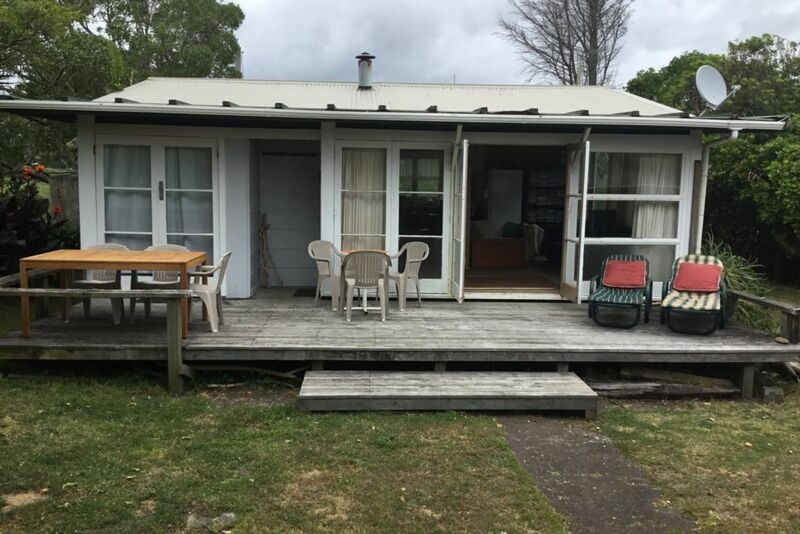 Lovely two bedroom bach at beautiful, tranquil Tirohanga Beach, about 5 minutes east of Opotiki. Absolute beach front (though you have to walk over the dunes to see the ocean) and very few neighbours to share it with. Perfect for romantic getaways or a fun break with the family. Surfcast or longline from the beach. The property is at the 7km mark of the Motu Trails' Dune Trail, which is part of the NZ Cycleway project and one of NZ's 'Great Rides'. 5 kms to boat ramp. Short walk to store, takeaways and ice creams etc. Relax and unwind or enjoy the many activities the area has to offer. Freeview satelite TV installed, DVD player and a large selection of DVDs to watch. NOTE: Under Kiwi bach tradition you are expected to: Clean the house and do the dishes before you leave; Bring your own linen (towels/sheets/tea towels). This is a self service property and guests are expected to leave the house as clean and tidy as they found it on arrival. I live in Rotorua, at Lake Tarawera, with my partner Sandy. Because of this, I will probably not get to meet many of my guests staying at Tirohanga Dunes. I enjoy music, movies, English football and other sports, and holidays away with my partner in our camper van. We have 8 grandchildren between us and another on the way. I am originally from Otorohanga, where my parents still live, and I work for Rotorua Lakes Council as their Procurement Manager. I also have a property at Kawaha Point, on Lake Rotorua, which is available for short term holiday accommodation. Great fishing, including surfcasting from the beach. Walk through the back gate, across the dunes to the beach, or take the bike out the gate and start riding the Dunes Trail into Opotiki. Only 500 metres away are the biggest ice creams in NZ plus fish n chips and supplies as may be required, at the store in front of the campground. Check out the Two Fish Cafe for a coffee and cafe dining, when in Opotiki. Convenient location and seamless stay while traveling through. Very close to the beach! Great setting and authentic kiwi bach. Clean and tidy. Important that! Drains blocked on the second morning but we cleared around outside and sorted that. Emailed Kerry to explain the problem and he accepted our suggestion that a guard mesh to stop leaves/dirt etc be placed over the gully trap. The problem was sorted because I had a 'handyman' with me who was willing to cope with the stench. Some guests may have not been so resourceful. I would have been 'miffed' if I had had to do this myself. Very peaceful location, super close to the beach. Very peaceful location, super close to the beach. Beautiful home. Great location pitty about all the logging trucks. Great location pitty about all the logging trucks. Otherwise very relaxed place to stay. There is a store in front of the campground, only 500 metres from the bach, that makes the biggest ice creams in NZ, and also provides basic provisions and fish n chips. Check out the Two Fish Cafe for a coffee and casual dining in Church Street, Opotiki.